Pace of Adoption of International Student Recruitment Agencies by U.S. Institutions. This innovative research provides insight on both the pace of adoption of agencies as a recruitment channel partner by U.S. universities, as well as how specific market forces and public opinion are influencing how this adoption takes place and to what degree it differs from practices in other countries. StudentMarketing, a UNWTO Affiliate Member and member of ESOMAR, ensures compliance with the highest international standards. 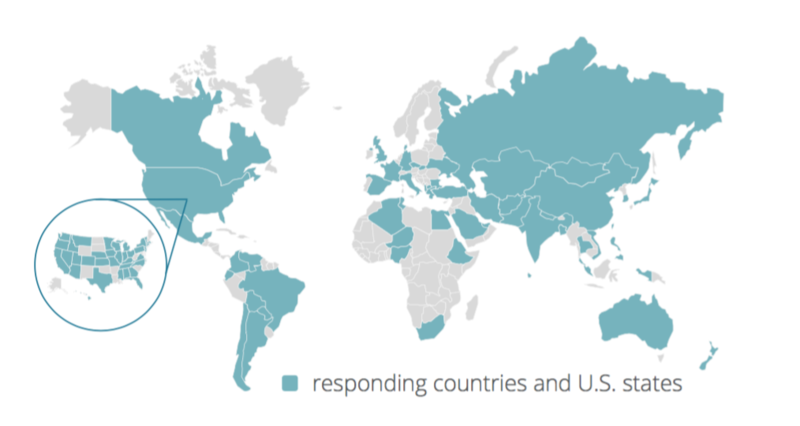 343 international agencies from 64 countries. The pace of international student recruitment agency adoption by U.S. institutions has increased since 2013. 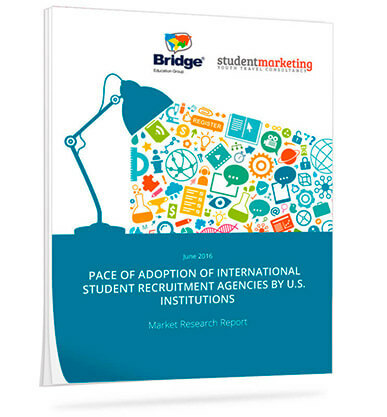 37% of U.S. universities and colleges work with international student recruitment agencies. 72% of agents reported being asked for references from other U.S. institutions when entering new cooperation, more than twice that of any other credential. 12% of U.S. institutions not collaborating with agents report working with pathways operators, and indirectly using their network of agencies to recruit international students. The research further examines topics such as transparency, first-to-market opportunity, “double-dipping”, public policy, and the role of the press.